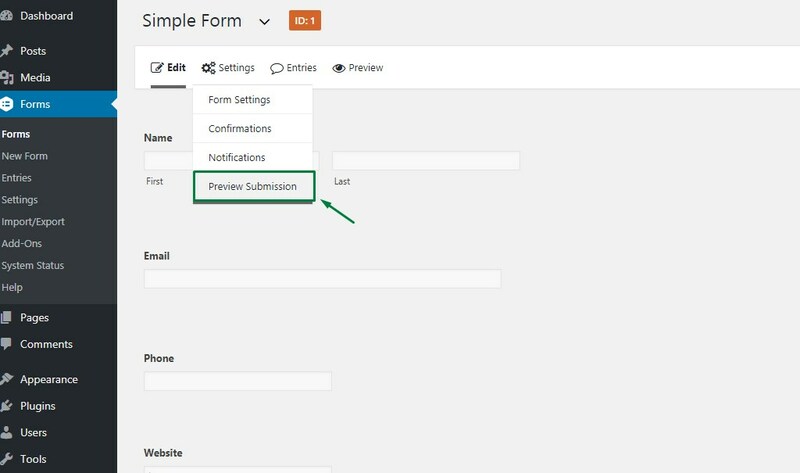 The plugin allows admin to enable/disable Preview before the users submit the form, so that users can review the form before final submission, users can step backward and change the field values if something was wrong added. 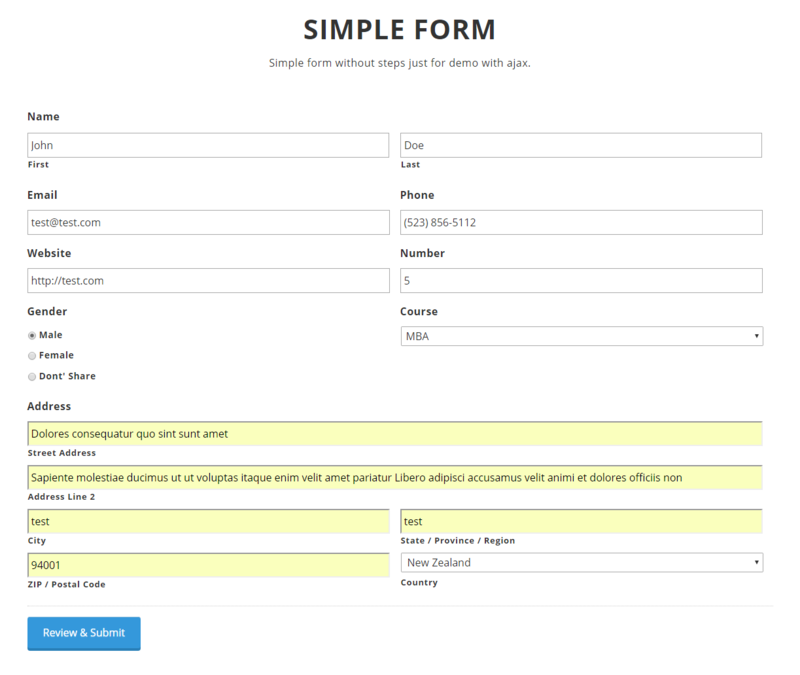 Preview can be enabled for any type of forms created with Gravity Forms like simple forms or Multi Step (Paged) forms. Admin can also allow users to download the preview in PDF file before final submission. Allows admin to enable/disable Preview for any form before final submission. User can review forms before final submission. Admin can allow users to download preview in PDF file. Admin can hide / show form hidden fields in the preview and PDF. PDF page paper size can be changed from A1 to A8. PDF page paper orientation can be changed to Portrait or Landscape. Change preview and PDF download button text. 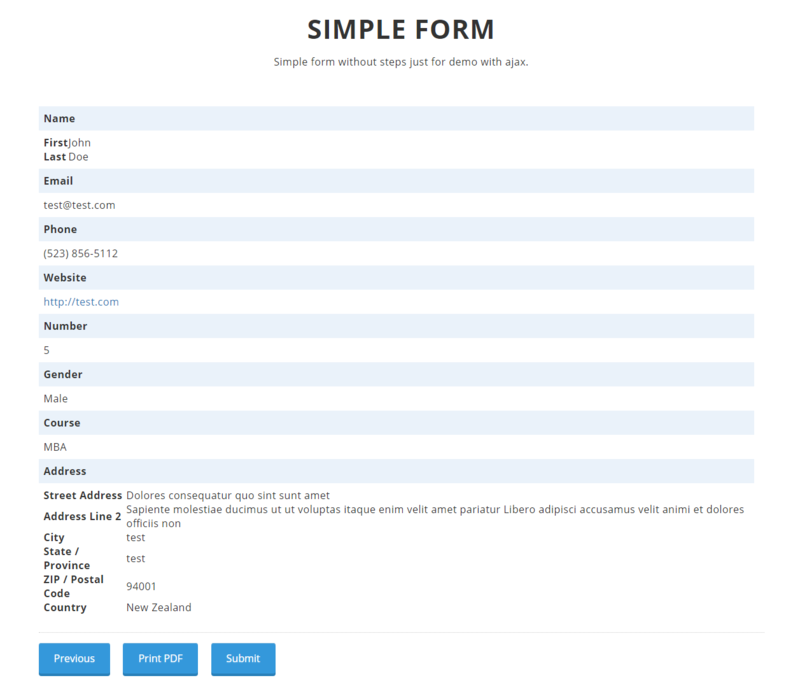 The plugin allows admin to enable/disable Preview for any form created with Gravity Forms so that so that users can review the form before final submission, users can step backward and change the field values if something was wrong filled. 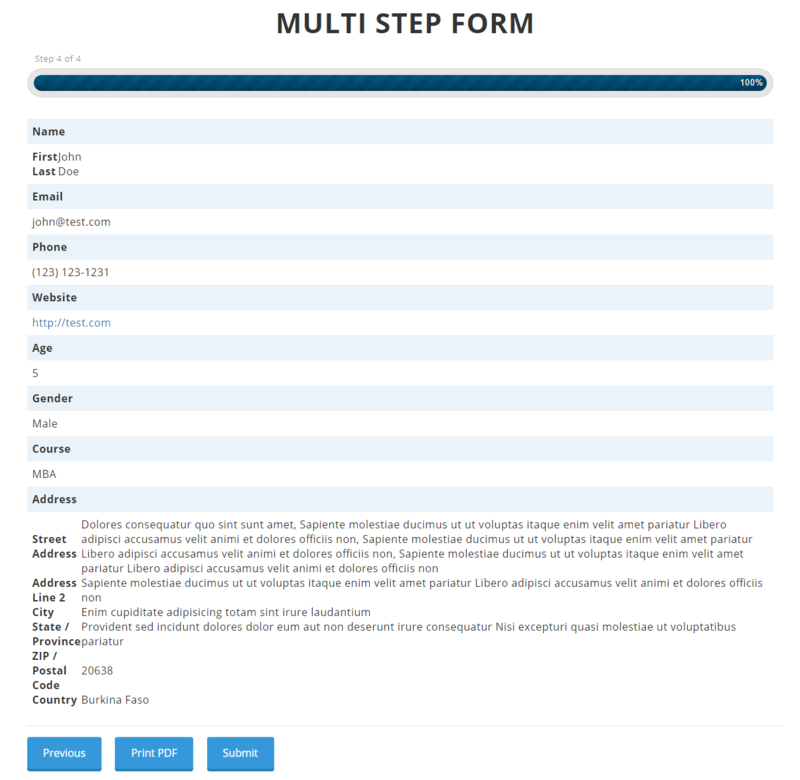 Preview can be enabled for any type of forms created with Gravity Forms like simple or Multi Step (Paged) forms. 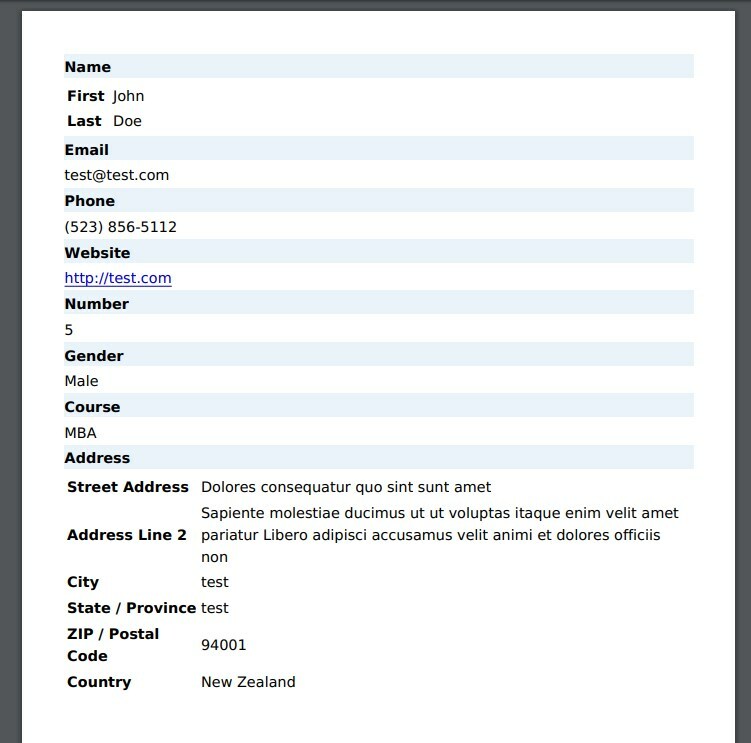 The plugin does not use merge tags of Gravity Forms. 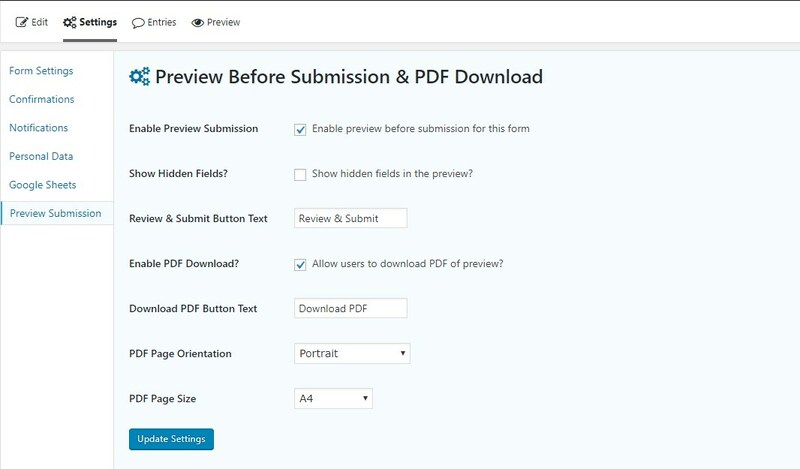 Admin can also enable / disable to allow users to download the preview in PDF file before final submission. PDF paper size and orientation can also be changed for each form in settings.